I am SO SUPER excited to be here to tell you about a phenomenal teacher, inspiring blogger, and brilliant author/creator of teacher materials. I am also very honored and lucky to be able to call Molly from Lucky to be in First a friend. How perfect that I had the opportunity to swap products with her and present them to you today? That's right --- right here, right now! So go grab a cup of coffee, a glass of wine, or whatever snack sounds good right now and get ready for PURE AWESOMENESS! When I had to choose a product of Molly's for this swap it was such a difficult choice, because --- well, have you visited her store? She has so many amazing products I didn't know which one I wanted more. I was thrilled when Molly said I could have TWO! 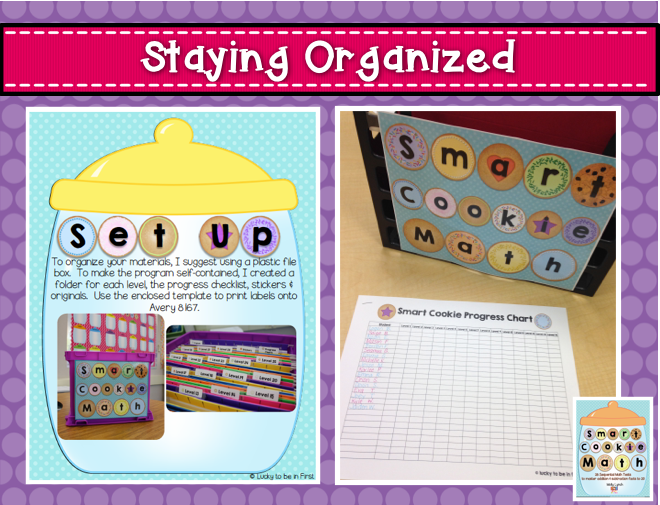 The two products I chose ended up working perfectly together and when you see them in action, I am positive you will NEED them in your classroom too! 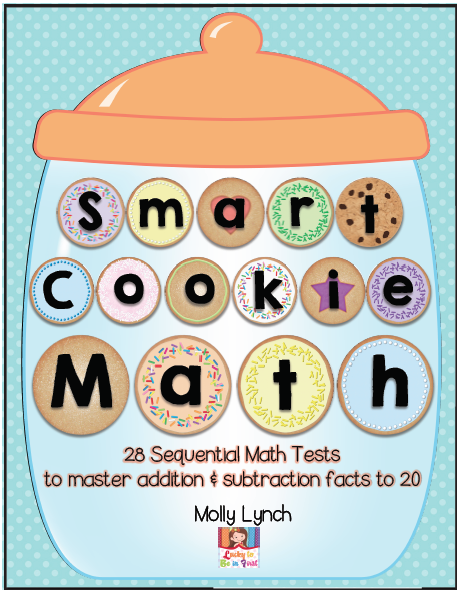 I will start with Smart Cookie Math. 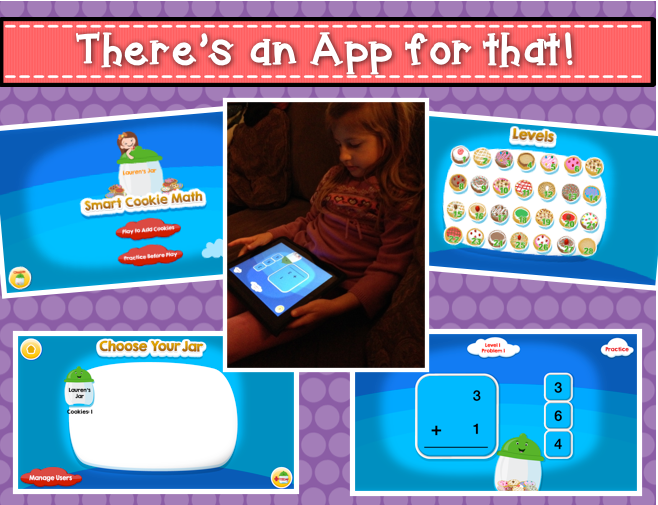 Smart Cookie Math helps students with basic fact practice and attaining fluency. This seems to be something that isn't happening as much these days as I think it did when "we" were in school. I still think it is very important for students to be able to attain fact fluency and so does Common Core. Therefore, this product is just perfect! Allow me to let some pictures do the talking . 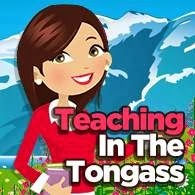 . .
Molly gives a variety of options and has truly thought of everything you will need to get this set up in your classroom. 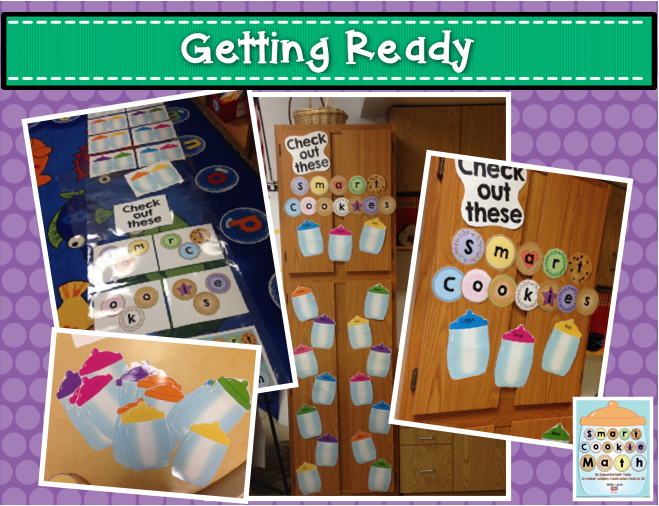 This was so simple to get ready and you should have seen the looks on my students' faces when they saw these cookie jars with their names on them. They just about died with anticipation for what we would be doing! I explained to the class that they were going to have a chance to earn cookies for their cookie jars just by learning their math facts. I assured them that they already knew many of these facts so earning cookies might start out easy, but in order to keep earning cookies they would need to practice (more on that later). Finally it was testing day (Friday). 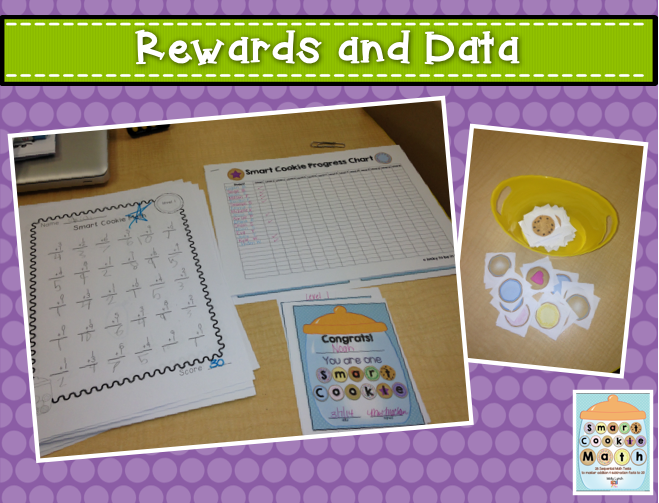 I gave students privacy shields (file folders) so they could focus and passed out the Level 1 test. The students who got them all right were able to cut out a cookie and add it to their cookie jars. I was so excited for the kids who did pass - which was half my class. And when they got their reward certificate AND the cookie --- their smiles just lit up the room. I had also explained before passing out the tests that the goal was for each student to get better every time. Therefore, even if they didn't pass this first time, their goal was to improve with each week. They may have been a little disappointed, but they sure are anxious to try again next week to earn that cookie. What I'm about to tell you now will make your jaws drop. Molly is so uber-talented that she even created an App to match this product. You read that right --- there's an app for that. Did I not tell you she thought of everything?!?!? So in between test days my students can practice their level on this app. I loved how quick and easy this was to teach the kids and that I can do this whenever we have those random 5 minutes and need a filler. 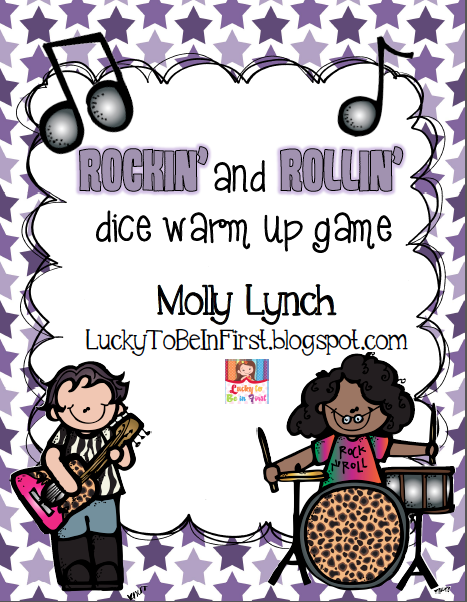 As Molly explains in this pack, all she has to do is say to the kids, "It's Rockin' and Rollin' time" and they quickly take out the materials and get started. 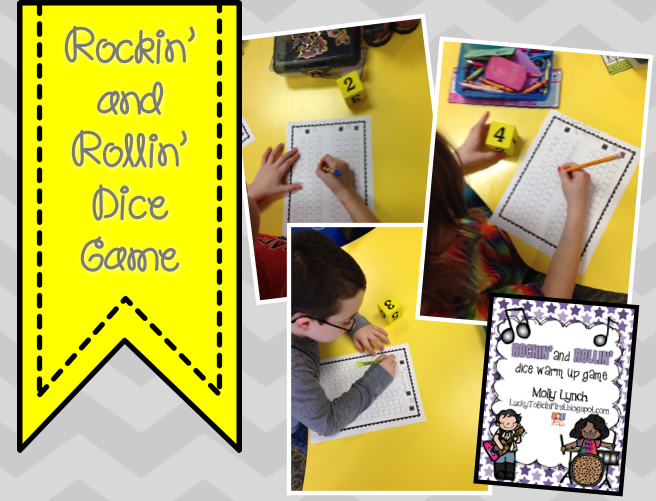 By the way, the only materials needed are dice (the type of dice changes depending on the level) and paper. How simple is that? I cannot say it enough, but these two products are so extremely motivating for my students and are already making a HUGE difference in their fact fluency and number sense. To read more about my products you can jump over to Molly's blog. But just don't forget to enter our giveaway! Now, here are the details for the other giveaways! Yes I said OTHER giveaways! There's even more to win if you just keep reading. 1. Start anywhere on the map below. 2. 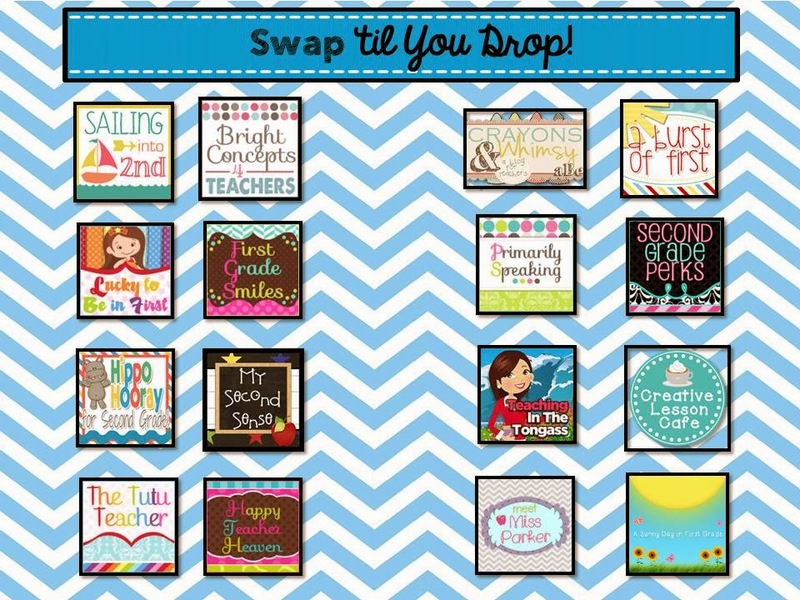 Stop by each blog and read about the products swapped between each set of bloggers. 3. Enter to win the resources that are featured by each blog pair. Each pair of bloggers has the same raffle, so you only have to enter on one of the two blogs.While you are at each blog, if you are not already a follower, sign on to follow! 4. The raffles are open until midnight March 15th. Love these post!!! Love seeing the products in action before I buy them!!! All of these look amazing!!! 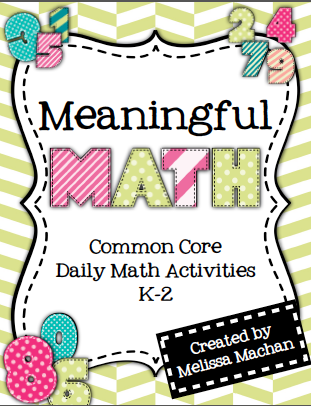 Thanks so much for creating teaching resources that make my life easier! I appreciate all your hard word. 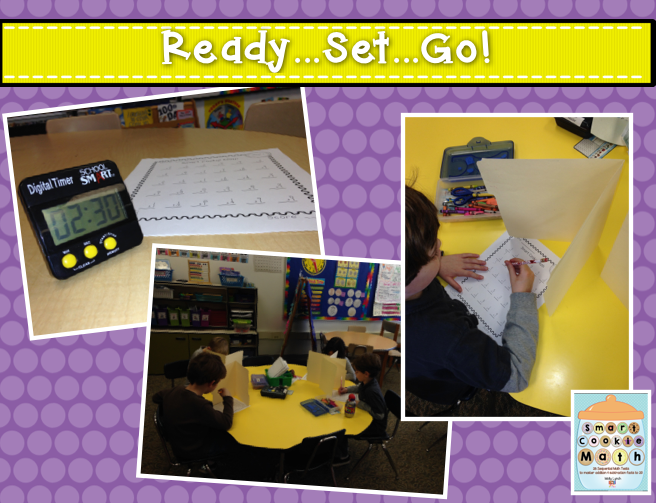 From MN and teach SPED K-5!! :D Thank you for the wonderful creations!! Love them! I am from Ohio and spring can't get here soon enough! From Nebraska. I teach 2nd grade. Thanks for all of your fabulous ideas and products! I love Smart Cookie Math! It has really held my class accountable this year. Great post my friend! 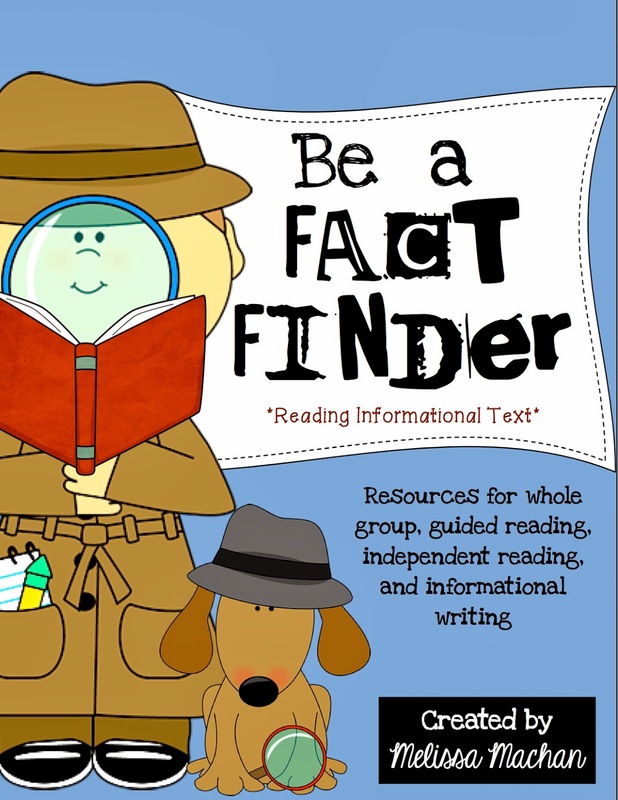 My head is swimming with the possibilities for Be a Fact Finder this week in my room! I LOVE that pack! And I know that first thing tomorrow, my kids will be begging me to do a page of their Daily Math March! You & your products rock, my friend! You picked 2 great products, my friend! I am so glad they were a hit with your students. Thanks for the great reviews and being a part of our product swap! All of these would be great to have. I'm having a hard time this year getting my students motivated to learn their facts. I really like this swap thing. I mean, everyone thinks their products are great, but it is nice to hear another perspective. March is here, so bring on Spring!